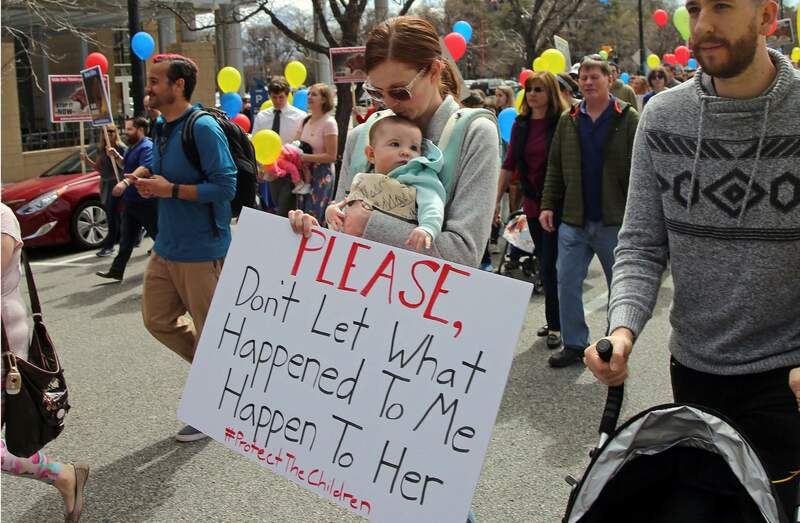 On March 30, 2018, about 1,000 Mormons and former Mormons march to the church’s headquarters in Salt Lake City, to deliver petitions demanding an end to one-on-one interviews between Mormon youths and lay leaders and the sexual questions that sometimes arise during the meetings. The Mormon church is for the first time posting the list of questions lay leaders are supposed to ask youth during closed door, one-on-one interviews that have come under scrutiny for sexual questions that sometimes arise. SALT LAKE CITY – The Mormon church for the first time Wednesday posted the list of questions lay leaders are supposed to ask youth during closed door, one-on-one interviews that have come under scrutiny because sexual questions sometimes arise. 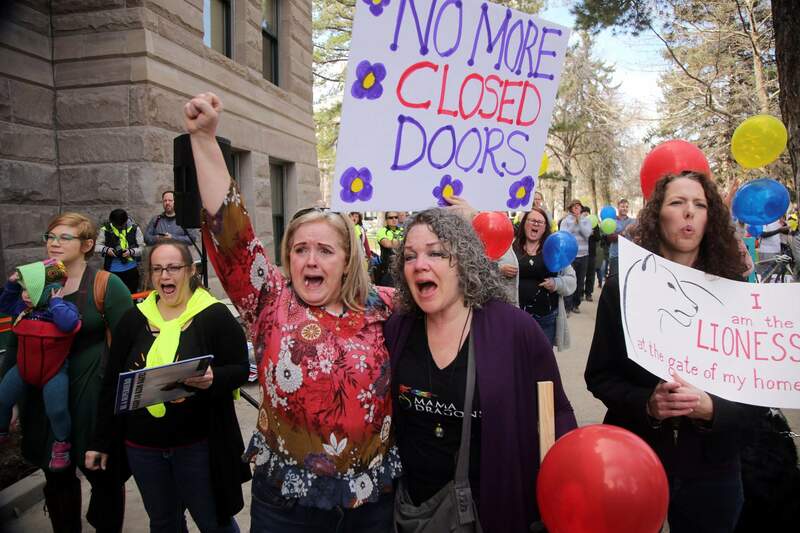 On March 30, 2018, Laurie Shipp, center left, and Jody England Hansen, center right, show their support with about 1,000 Mormons and ex-Mormons before marching to the church’s headquarters to deliver petitions demanding an end to one-on-one interviews between Mormon youth and lay leaders, in Salt Lake City. The Mormon church is for the first time posting the list of questions lay leaders are supposed to ask youth during closed door, one-on-one interviews that have come under scrutiny for sexual questions that sometimes arise.